"Restorative justice theory has largely failed to keep pace with the rapid expansion of restorative practices worldwide – indeed, it is remarkable how much support RJ has when so few advocates can even define what it is. 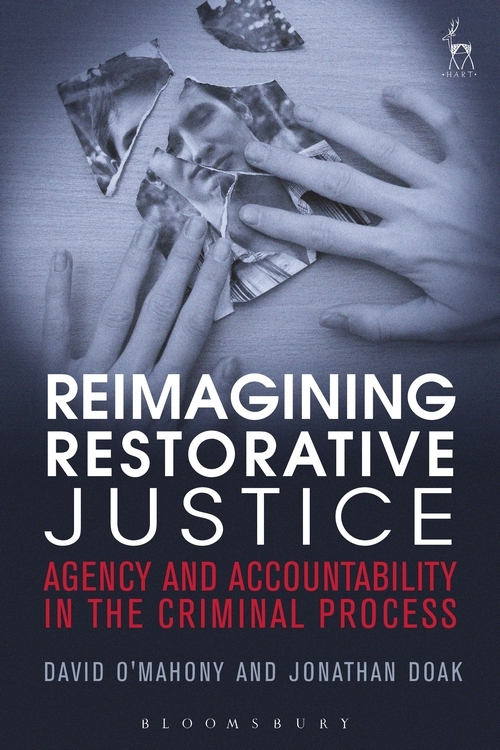 As such, this insightful and comprehensive new contribution from two of the top scholars on the frontlines of restorative justice research is hugely welcome." "Reimagining Restorative Justice is a reflective and balanced reconsideration of restorative justice. It deftly sweeps across the large literature on the subject, putting it in perspective, seeing anew through its wide-angle lens. Empowerment and accountability provide a fertile framework for this richly reimagined justice." "David O'Mahony and Jonathan Doak have made a significant contribution to the confusing and over-complicated field of restorative justice theory. They do so through their use of empowerment theory to bring conceptual and operational clarity to the concepts of agency and accountability in restorative processes and outcomes. As a result they develop a convincing argument for face to face dialogue between victim and perpetrator within the core of the criminal justice system. Their emphasis upon ethical and skilful practice is a welcome riposte to the rapid spread of 'restorative justice lite' driven by managerialism and the need to cut costs." Tim Chapman, Lecturer at the University of Ulster. "O'Mahony and Doak convincingly argue that rapid developments in the practice of restorative interventions have outstripped restorative justice theory. They provide both an outstandingly helpful review of the literature and a fresh theoretical approach based on empowerment theory. Everyone seriously interested in restorative justice will want to reflect carefully on the authors' conclusions." Anthony Bottoms, Emeritus Wolfson Professor of Criminology at the University of Cambridge. In recent years, restorative-based interventions have expanded rapidly and are increasingly viewed as a legitimate, and even superior means of delivering justice. The result of this swift but piecemeal development has been that restorative justice practice has outpaced the development of restorative justice theory. 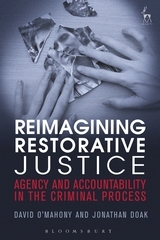 This book takes up this challenge by 'reimagining' a new framework for the operation of restorative justice within criminal justice. In essence, it is contended that the core empowering values of 'agency' and 'accountability' provide a lens for reimagining how restorative justice works and the normative goals it ought to encompass. II. Criminal Justice: A Paradigm in Crisis? David O'Mahony is Professor of Law at Essex Law School. 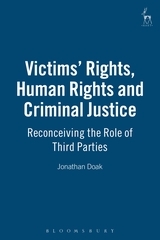 Jonathan Doak is Professor of Criminal Justice at Nottingham Law School, Nottingham Trent University.